Caelum Technologies – Drone Solutions, who is working with the AMWN, designed a remote-sensing protocol utilising satellite imagery, UAVs (drones), and airplanes to efficiently identify plastic-waste accumulation sites within close proximity to river systems that connect to the marine environment. These plastic-waste accumulation sites form due to a lack of service delivery, illegal dumping, and waste removal within the informal settlements. These sites are often dangerous and difficult to manoeuvre through for surveyors; hence the use of remote-sensing technology. The availability of remotely sensed data is, perhaps, the best source of data for a variety of applications in marine and coastal management. This pilot study was executed within the Swartkops river catchment area in Algoa Bay, South Africa. Each remote-sensing technique was utilised and compared for optimal results. 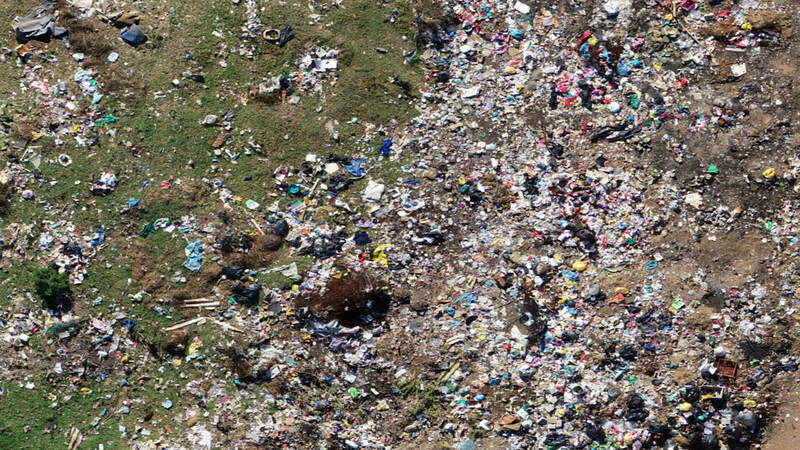 Plastic-waste accumulation priority zones were identified using freely accessible satellite imagery, in combination with Geographic Information System (GIS) data, such as industrial and settlement zones, and elevation to identify storm-water runoff areas. Drones were deployed within these priority zones to ascertain multispectral, high-resolution imagery and determine the quantity of the plastic-waste accumulation. 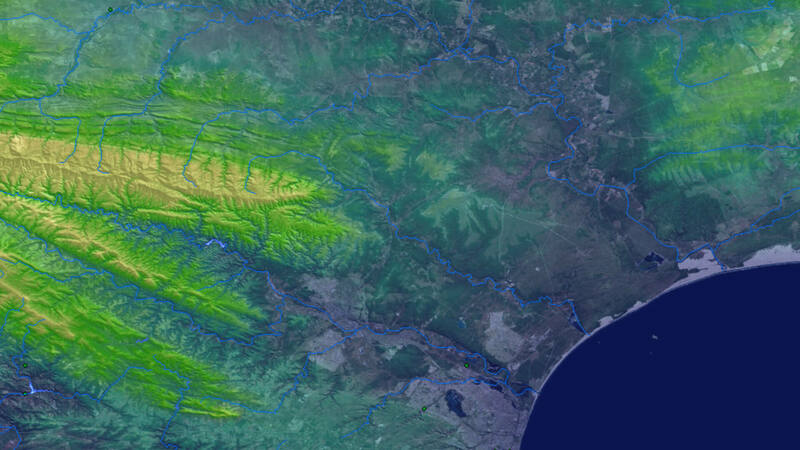 The digital elevation model (DEM) is shown here and provides us with a clear understanding of the change in elevation within the catchment area. The DEM is overlain on satellite imagery. 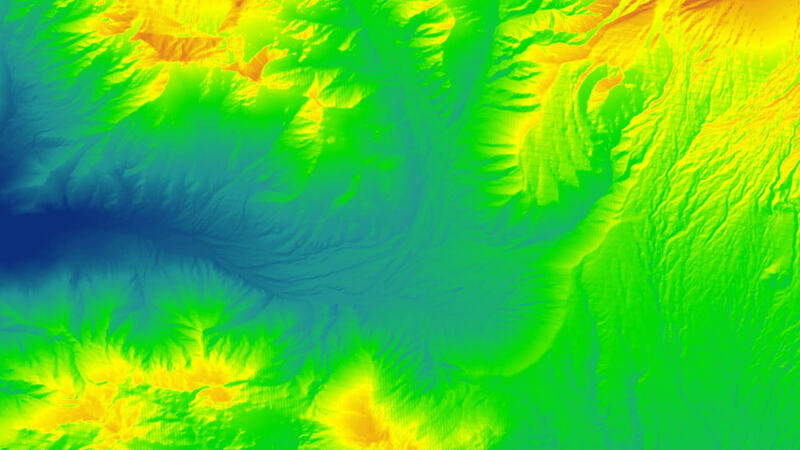 The DEM is shown here and provides us with a clear understanding of the change in elevation within the catchment area. 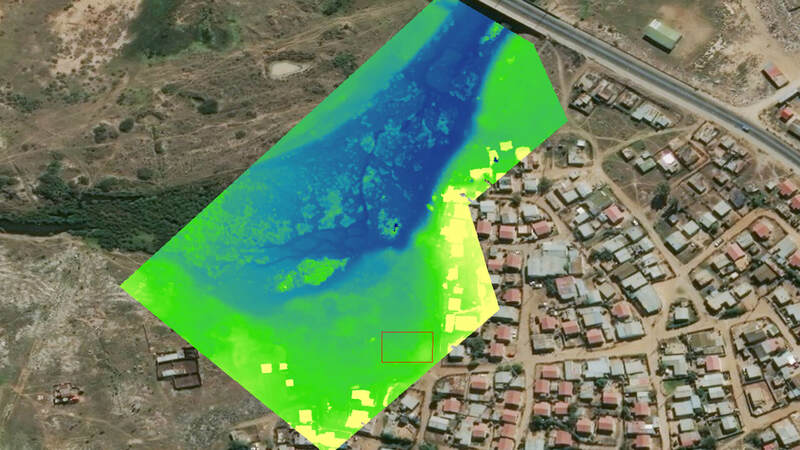 UAV data provides a very clear DEM of the site specific areas within a catchment. Runoff and movement can be mapped. UAV data provides centimetre accurate GDS and allows clarity for the finer details. Through UAV data quantitative information can be withdrawn and scientific analysis generated.